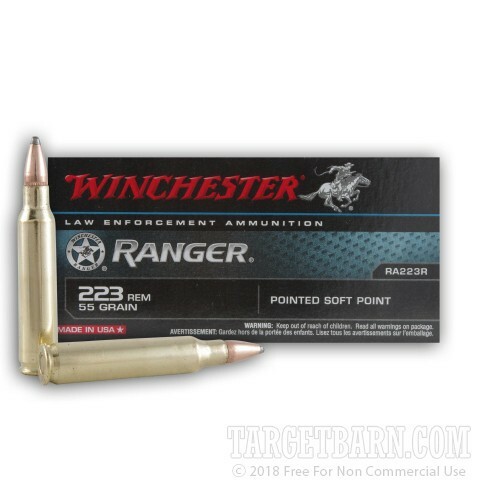 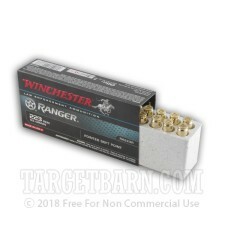 Winchester Ranger ammunition was designed to meet the needs of law enforcement; not surprisingly, it works well for self-defense and hunting as well. 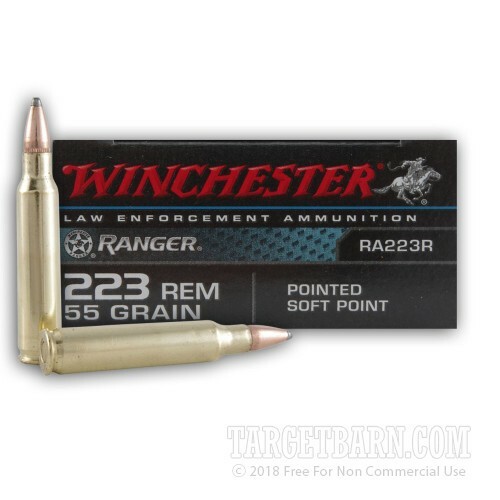 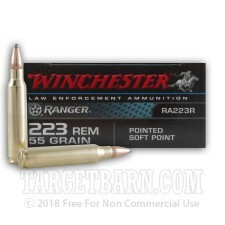 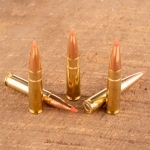 This .223 Remington ammunition fires a 55 grain soft point bullet with similar external ballistics to M193 ball (a useful feature, especially if using optics). 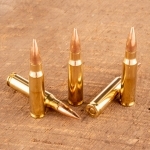 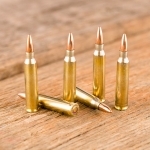 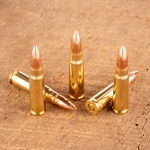 A high muzzle velocity of about 3,240 feet per second promotes rapid expansion of the soft point bullet for maximum terminal effect.